Looking for easy flavored water recipes? 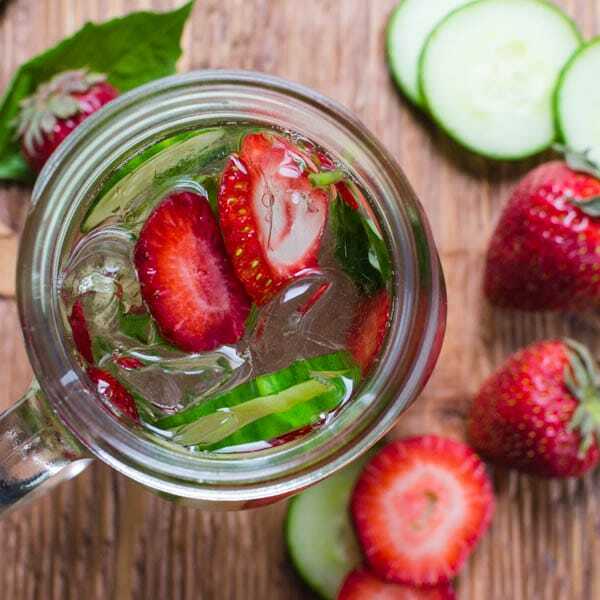 Infused waters are healthy hydrators (which is why these spa water recipes are so popular) made from fresh fruits, herbs and some vegetables for a healthy summer drink that keeps you refreshed and quenched. 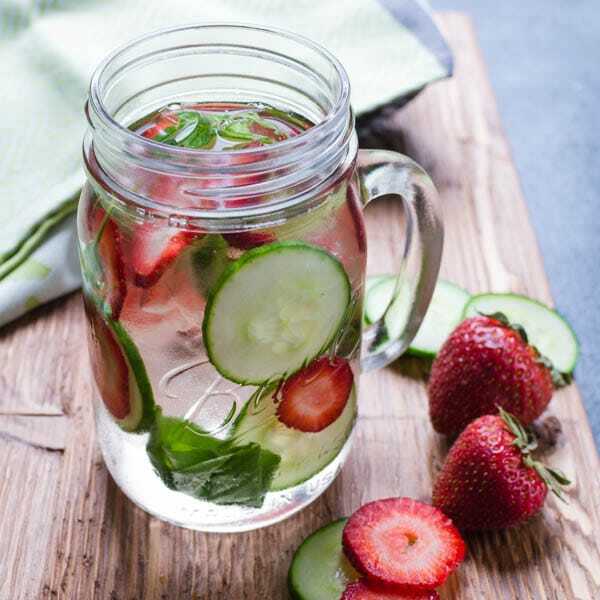 This Strawberry Cucumber Basil Water is easily switched up depending on what’s in season where you are. You can make strawberry infused water at home. Or cucumber infused water — or basil water. Or whatever combination you like — they’re easy to make, economical, and spa water is a refreshing, healthy summer drink with no guilt. Make Strawberry Cucumber Basil Water in about 3 minutes, too. Crush the basil leaves between your fingers to break open the cells and release the aroma. In a glass or mason jar, combine the sliced strawberries, cucumber, crushed basil, ice and water. Refrigerate for an hour so the water becomes infused with the flavors. Sip the water and munch on the strawberry slices and cucumber -- guilt free.